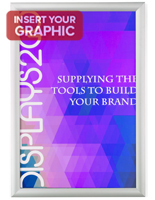 Need a great way to show one of the most popular print sizes? 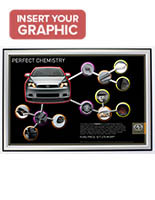 This 24 x 36 poster frame is an ideal choice for any user because they feature a convenient snap open design. This allows for changing graphics without taking the unit down. 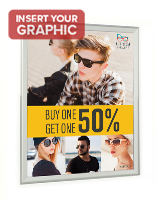 To insert or replace signage on the 24 x 36 poster frame, simply unhinge the edges and remove the protective lens to access the image. 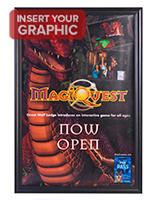 Their versatile and simple design makes them excellent for stores and businesses that require frequent artwork changes or simply need an affordable way to advertise. 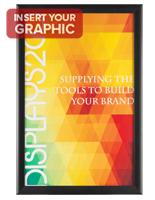 In addition, the 24 x 36 poster frames, or 24x36 picture displays, have a durable aluminum fabrication for high traffic areas. With their neutral black and silver finish choices, these fixtures will match any interior. 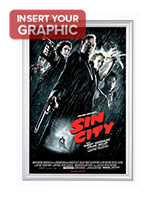 Each of the 24 x 36 poster frames features a wall mounting design for graphic placement almost anywhere, even on cabinets and other large furniture. With the black 24x36 picture displays’ front loading construction, the fixtures can remain affixed to surfaces without needing to be removed. The snap open wall mounts can be mounted in either a landscape or portrait orientation to accommodate any promotional graphic. In addition, the black or silver aluminum poster frames come with a clear, non-glare lens that protects images from water, dust and fingerprints while keeping them clearly visible. Not all of these 24x36 picture displays are the same. Each of the 24 x 36 poster holders are offered with different profiles, ranging from 25mm to 45mm for different design preferences. The black aluminum wall mounts are also sold with an outdoor-safe construction for use in exterior environments. 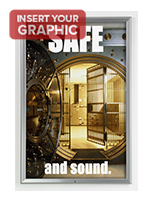 Another feature found on some snap open models is their ability to lock and protect graphics from theft or tampering. 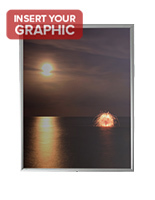 This aluminum 24 x 36 poster holder option may be better for public areas like movie theaters and restaurants. 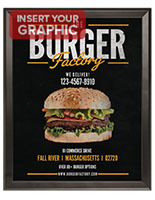 Get quick same day shipping on these 24x36 picture displays when you order on SnapFrames.com.